Choose from our selection of floor plans. Welcome to Shadow Ridge at Southlands, an apartment community located in Aurora, Colorado, where we offer one, two, and three-bedroom apartment homes. In fact, we boast one of the largest three-bedroom floorplans in the area! Our community has picturesque landscaping and all the comforts of modern luxury living. We have an array of spacious floor plans to choose from with sleek features and an extensive list of amenities. With easy access to E-470, Cherry Creek State Park and Denver International Airport, this stylish contemporary community is situated in the most convenient location. Put your feet up and relax in your new home after a long day or stroll over to Southlands on Main Street where you'll find over 140 retail shops, restaurants, and entertainment venues. Residents can also keep active by fishing, swimming, or paddle boating at the nearby Aurora Reservoir. Parents and students will love our community. Shadow Ridge at Southlands is located within the Cherry Creek School District, which is ranked #4 out of 170 districts statewide. Plus, Cherry Creek is ranked as the #1 school district for athletes in Colorado (according to Niche reporting). Schools within the district include Pine Ridge Elementary School, Thunder Ridge Middle School, and Cherokee Trail High School. In addition, Rocky Vista University College is less than a mile away. Community amenities include a resort-style pool & hot tub, 24-hour fitness center, spin room, movie theatre, and game room. Apartment amenities include modern designs, washer and dryer in every unit, walk-in closets, and ceiling fans. We offer one, two, and three bedrooms. Plus, detached garages at an additional monthly fee. We have six different floorplans, which range in size from 684 square feet to 1451 square feet. 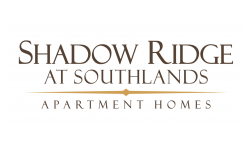 Shadow Ridge at Southlands offers residents an exclusive, peaceful, and resort-style community. Call us today to schedule a tour!